Some Lebanese leaders reacted positively to Donald Trump’s surprise win in the U.S. presidential election, but Hezbollah and its allies were the most positive. 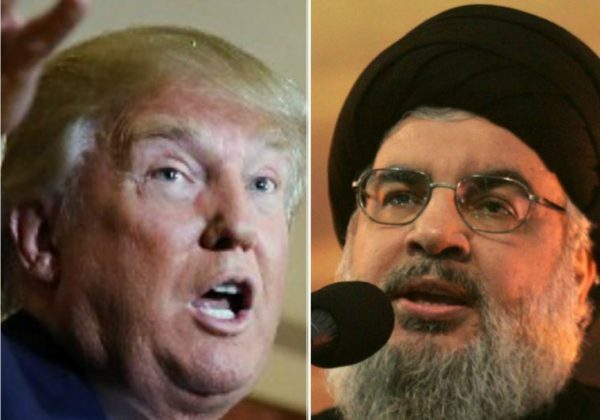 Hezbollah MP Nawwaf Musawi said he was optimistic about Trump’s isolationist foreign policy. “The more the U.S. policy turn towards isolationism, the more relieved the world would be from its evil,” he said after a weekly meeting with Speaker Nabih Berri. Former Minister of Foreign Affairs Adnan Mansour , who represented Speaker Nabih Berri in a former cabinet said that Trump no longer speaks as a candidate, but as a statesman who has expressed his openness to everyone. Aoun was elected on Oct. 31 as Lebanon’s 13th head of state, ending 2-1/2-year presidential vacuum. FPM official and Foreign Minister Gebran Bassil also congratulated Trump and the American people on Twitter. Another Hezbollah ally Tawhid Party Chief Wiam Wahhab praised Trump . Wahhab, a pro-Syrian official, along with Assaad Halim Hardan, Hafiz Makhluf – a senior Syrian intelligence official who is a cousin of Syrian president Bashar Assad – and Mohammad Nasif Khayrbik, were targeted by the U.S. sanctions in 2007. The sanctions froze all U.S. assets belonging to the four and prohibited American citizens from engaging in transactions with them. Lebanese Prime Minister-designate Saad Hariri who heads up the Future Movement sent a letter of congratulation to the president-elect, in which he assured Trump that Lebanon would remain committed working with the new administration to reach a common understanding on regional issues. “You leadership is necessary to ensure stability, security and peace in the Middle East,” Hariri wrote. On the other hand the head of the Future Movement parliamentary bloc, former PM Fouad Siniora, however was more cautious about the Trump victory. “The newly elected U.S. president should understand the reality of what is going one in the [Middle East] region,” he said during a visit to Sidon, hoping for effective solutions to regional challenges. Wowsers. “Phenomenal”. Key-word of the week from the Iranian ‘side’? It’s called ‘democracy’. How’s YOUR democracy going, Nasty … or rather, your garbage? Listening to it for 2.5 years was just 2.5 times worse, of course. Just remember Trump is FOR America, and your only hope is to give back some of the ‘reality’. Even to your own people would be nice. If Trump is for America he will tell America get the hell out of Syria take out Isis Frankenstine and give US tax dollars to America for Americans. Oh, and I’m sure someone will take out what turned into Frankenstein, along with the ‘help’ being given … we’re just not sure of what comes after. Really? He condemned Iran for supporting extremism on one occasion, and threatened to destroy the Iranian nuclear deal, but also seemed to praise Russia’s military intervention in Syria on behalf of Assad in another. This man is indeed an intriguing paradox, one will have to wait and see what his rise to power will bring the Middle East.